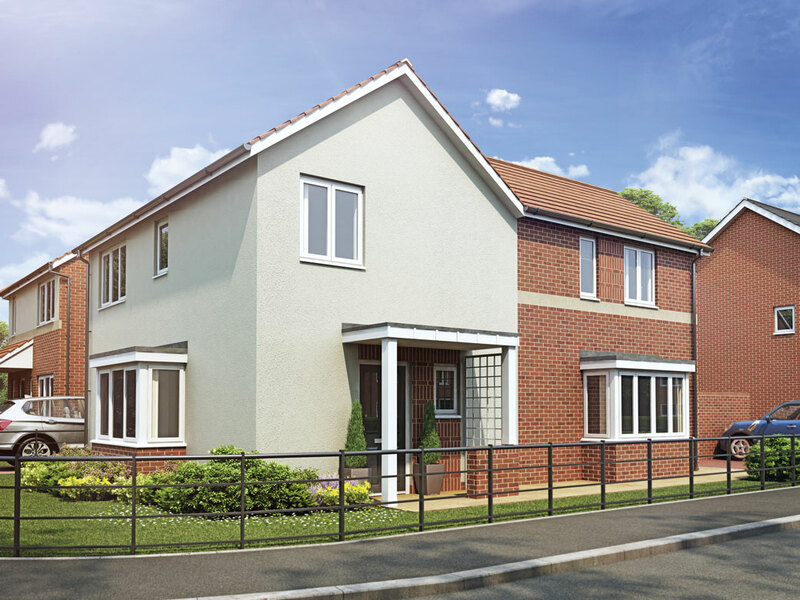 The Norton is a great corner plot that is already build and ready for immediate occupation so you could be in your brand new home in next to no time! The property will have views over open fields that are being created which will be a wonderful space, in addition there will be retention ponds that no doubt will attract wildlife. The property itself has two separate reception rooms both off the hallway, there are French doors in the lounge that open out on to the garden as does the U shape kitchen. To the first floor there are four bedrooms and a family bathroom. Something worth noting is that there is plenty of storage space in the house with 3 storage and 1 linen cupboard within the house, also having a garage which will no doubt be of great use to you. This area is in its final phase of regeneration which has been an on going project by Birmingham city council for many years and this is very much the jewel in the crown of the area. Locally there a selection of shops and take aways to chose from, the health centre which sits on Dovedale Road. Perry Common Road has a bus stop where the number 7 operates, the number 11 bus stop is around .75 mile away and Erdington train station is a little over a mile which runs on the cross city line giving access to Lichfield, Sutton Coldfield and Birmingham city centre. Of the 5 primary schools that are within half a mile of the property, 4 have an Ofsted rating of good and 1 with outstanding. Perry Meadows is the final phase of the major regeneration of Perry Common, which is located to the north of Birmingham, presenting spacious, energy –efficient properties with high levels of insulation, A- rated central heating systems, high quality double glazing with a quality internal finish throughout.